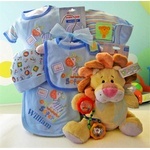 Christian Baby Gifts, Christian Gifts for Children. 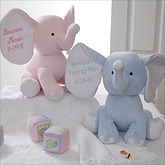 Christian baby gifts celebrate a miracle of life. Babies, although small in size, are one of our biggest blessings from God. Isn't that why we love these newborns so much? They remind us of the meaning of life and love. We want to encourage them right from the start. Sharing your faith with these little ones helps build their own faith, hope and love of God. Christian gifts are one way to do that as they learn to love God. What's here? You'll find lots of personalized gifts for girl and boy, nice selection of frames for baptism and christening, books, throws, bedroom decor like crosses and frames, godchild, photo invitations, pillows, booties and more. You may also be interested in these gifts. 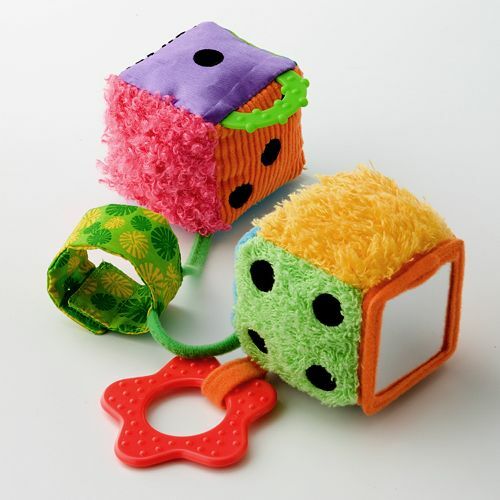 Thank you for visiting Creative Gift Ideas and our Christian Baby Gifts page. We are so glad to have the opportunity to help you choose a gift for this little one.